From BCR ... "Mature rosette up to 12cms. diameter x 10cms. high. 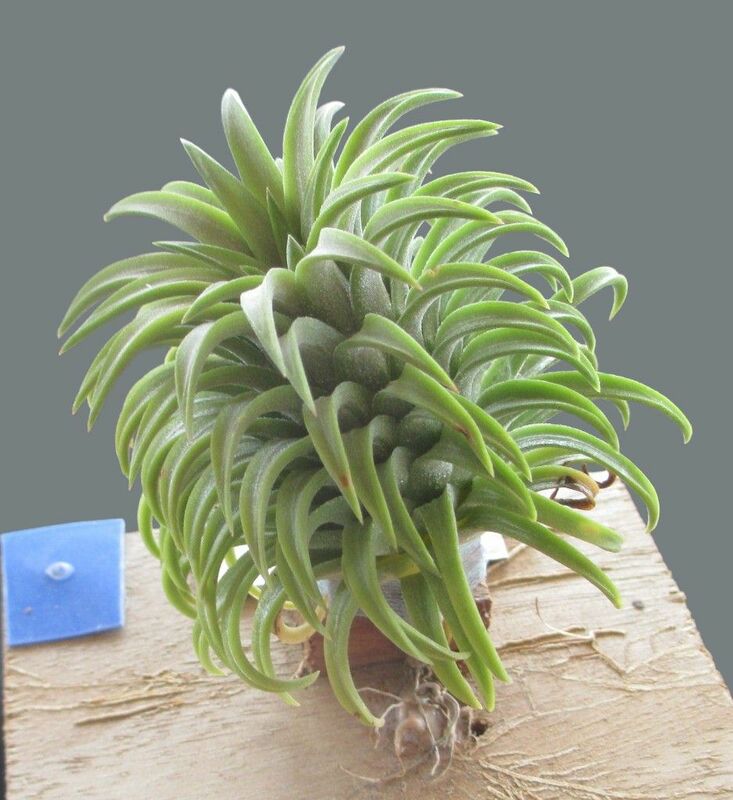 Multiple, scurfed, thick, succulent, grey-green leaves which decurve into a ball. The foliage turns greenish peach at blooming--tubular violet flowers emerge. Rainforest Flora Inc, Los Angeles, California acquired unnamed stock off Ron Herndon in Homestead, California in the 1990s, possibly wild-collected originally in Mexico. Ionantha Group. Reg. Doc. 1/2015 by Paul Isley."